How do we grow when things don’t go as planned? How do we heal when our hearts are broken? Sometimes life gets tougher than we thought it would, or a bend in the road takes us in a direction that’s all together different than the route we’d planned for. Regardless of whether you choose your circumstances, the next choice is yours. There’s a canvass in front of you that needs painting, and yours is the next stroke. Ever heard that saying, “the best revenge is to live well?” Living well means a lot of different things to a lot of different people. For me it’s about keeping things in perspective, living with intention, regardless of my circumstances. 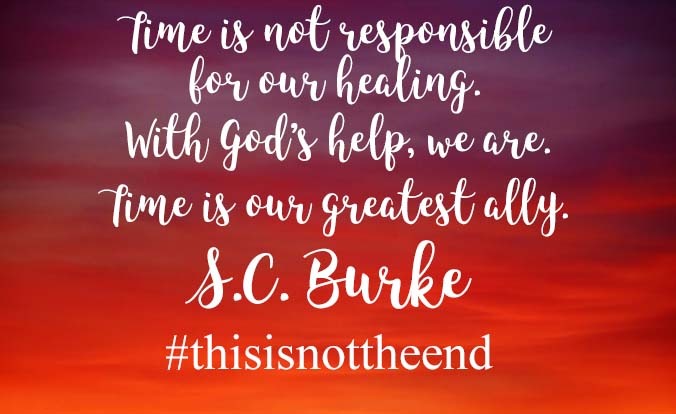 Read more about S.C. Burke. © Sarah C. Burke and SCBurke.com, 2016. Unauthorized use and/or duplication of this material without express and written permission from this site’s author and/or owner is strictly prohibited. Excerpts and links may be used, provided that full and clear credit is given to Sarah C. Burke and SCBurke.com with appropriate and specific direction to the original content.